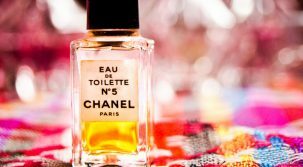 Home › Fragrance › Every Woman Has a Signature Scent: What is Yours? There is an assumption floating about among biochemical experts that our choice of signature smells depends on which of our four senses the sense of smell excluded influences our personality. A person can either be sight-dominant, taste-dominant, touch-dominant or sound-dominant. Whatever sense drives our personality more also plays a larger role in our choice as to what our signature scent may be. Food plays an important role in the lives of taste-dominant people. They do not eat food just for the sake of eating; every bite they take in is chewed slowly and savored for each and every distinguishing taste registered on their tongue. Taste-dominant people are gourmets and epicureans ‚Äì they get their pleasure from eating exquisite food. They see food more than just a way to nourish bodies, and neither do they see it as something to be abused. They have a healthy respect for food. Touch-dominant people love getting in close contact with other people. Whenever they talk, they often hold the arm or the hand of the person they are talking to just to make sure that they have that person attention. They are also creatures of comfort. They love soft things and warm things. Touching silk or velvet with their bare fingers or letting their feet sink in the sand bring so much pleasure to them. More often than not, they also have pets that they adore so much. People who are sound-dominant tend to love music to a fault. They can recognize the intricacies of rhythm and melody and translate it, just like one would translate a foreign language. They also love to talk, but they love to listen just as much as they love to talk, simply because they like hearing nuances in other people voices. Such people are also great at mimicking sounds or impersonating the way another person speaks. Every Woman Has a Signature Scent: What is Yours? Reviewed by FashionPole on October 16, 2016 .